Buying a business is one of the most complicated processes and it is one of the greatest financial decisions for your life. Your current expenses and your family’s current and all future financial needs have to match with your business profits. Good business can give a cheerful life, but poor business can take away your wealth. BizWorldUSA.com is giving some free basic information on how to buy a reputable business. When can I buy an existing business? What can I enter in the BizWorldUSA.com site? By registering on BizWorldUSA.com you can have access to the available listings based on your criteria by simply short listing, or you can post what you need, or you can call the associated people to get their services. 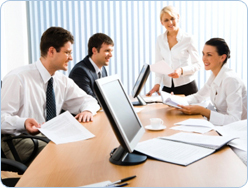 Associate professionals will identify a business opportunity that meets your goals. Do personal due diligence, such as risk of the business, does it match your criteria, etc. Hire a respected professional to conduct due diligence with the help of your broker/agent. Upon successful approval of your offer by the business owner or the seller you can meet the owner and you must discuss with him any questions about the listed business for sale, about past and current experiences, and also share your ideas for the future. Request the seller add additional information which was over looked by the broker/agent. Do visual inspection with your agent. Note down all the points given by the seller regarding the business. Hire a due diligence company for all necessary fields, such as to review the lease, franchise agreements or any other written agreement related to the business. Have a CPA review the financial documents, such as POS, balance sheet, profit and loss statements, sales tax, invoices and any other financial documents related to the business, or any special person or company who can do the rest for any other business related documents. Review the sales, books, etc. Inspect furniture, fixtures, and equipment (FF&E). Visit the city, county, and other businesses and all other concerned departments to get all the information about current business status, zoning changes, permits and license violations and issues, environmental issues, etc. Meet with landlord and discuss the building conditions, lease options, future expansion, etc. Upon satisfactory completion of due diligence, you can open an escrow with an escrow company or the attorney or the broker who is authorized to render escrow services. Read the escrow terms and conditions regarding fees, and the terms and conditions of the escrow company. All concerned parties have to work with a good faith estimate. Start working with the terms and conditions accepted on a fully executed contract. Apply for all necessary permits and licenses. Review all the reports provided by the escrow company related to the business. As per your contract, you can apply for a loan if you are going for a bank loan. If the seller is financing, you can read the note which was prepared by your attorney or the seller’s attorney. Upon satisfactory completion and fulfillment of all the terms and conditions of the fully executed contract, with consent and approval from all the parties, the escrow company closes the escrow with a successful transfer of the business title which is recorded in the appropriate places. In some cases, there is more than one escrow and all escrows will close simultaneously. In a few cases, the procedure will vary depending upon local law, state law and also country law where the transactions occur. No matter what, in order to complete the transaction, all the terms and conditions have to be completed satisfactorily as set on the fully executed contract by all parties and within the permitted law. The seller has to give training to the buyer or new owner, and such training varies from transaction to transaction. The time and hours will be decided by the seller and buyer for their mutual interest. If you want to know more about buying a business or have further questions on how to buy a business please contact us at help@bizworldusa.com or 415-234-8833 and one of our approved business professional consultants will contact you.